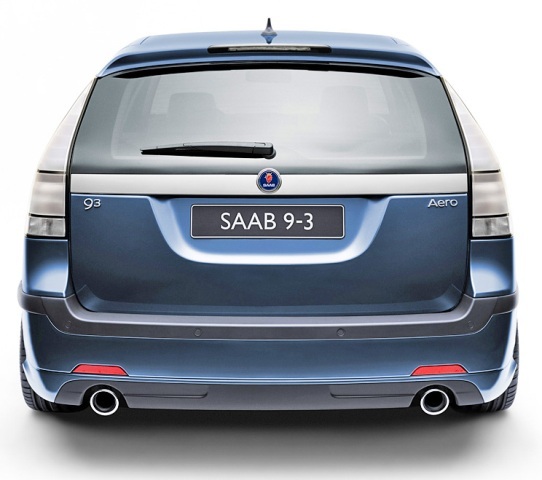 The all-new Saab 9-3 SportWagon, announced today, takes Saab into the growing premium, mid-size estate car segment for the first time. The new 9-3 SportWagon combines distinctive design with sporty driving dynamics. 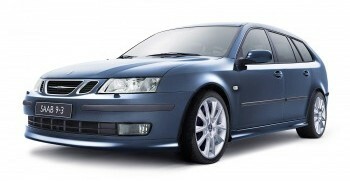 Its strong, compact proportions closely adhere to the Saab tradition of designing cars that are sporty in character and versatile in use. The cohesive five-door styling and a muscular, 'hewn from solid' stance give the 9-3 SportWagon a clear identity within the Saab 9-3 range. 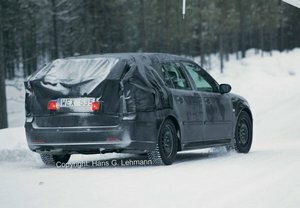 Making its public debut at next month's Geneva Motor Show, with UK deliveries starting in early September, the SportWagon will appeal to customers who require the versatility of an estate, including smart load-carrying features and a generously proportioned cargo area, without compromising their desire for driving satisfaction In addition to a comprehensive seven-engine line-up, the Aero model will launch an all-new, high performance, 250 bhp, 24-valve, 2.8-litre V6 Turbo – the first in the segment to have a turbocharged six cylinder engine. The new V6 Turbo will also be available in the 9-3 Aero Sport Saloon and Convertible models from September. 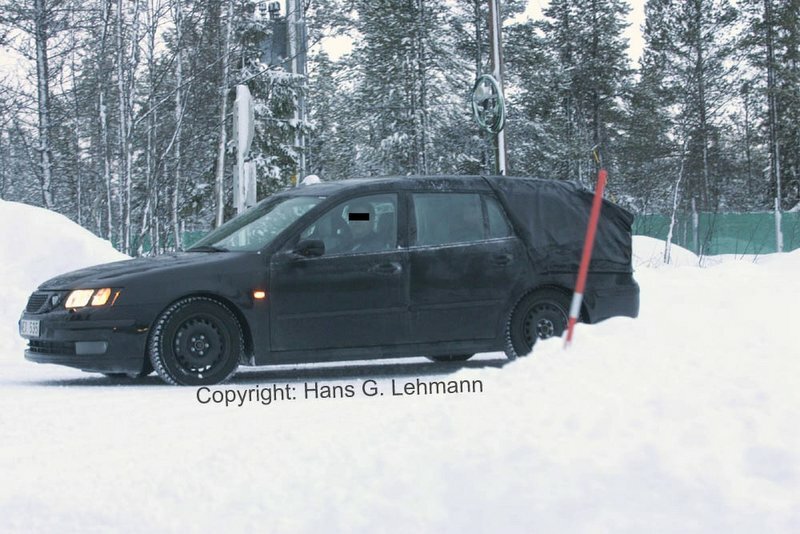 With a striking, wedge-like profile and Saab 'signature' styling cues, the proportions of the 9-3 SportWagon provide a spacious cargo area (rear seat up/down volume of 419/1273 litres VDA). Rear three quarter styling includes frosted, steeply raked rear light lenses and LED bulbs. 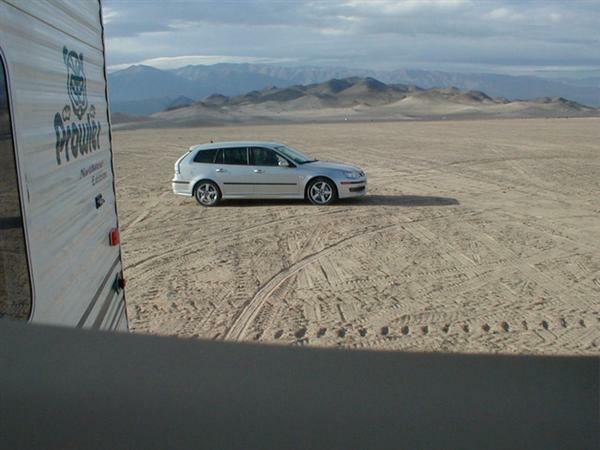 The SportWagon comes with a TwinFloor stowage facility. By pulling a chrome, aircraft-shaped handle, the main boot floor can be folded and relocated for access to a recessed sub-floor. 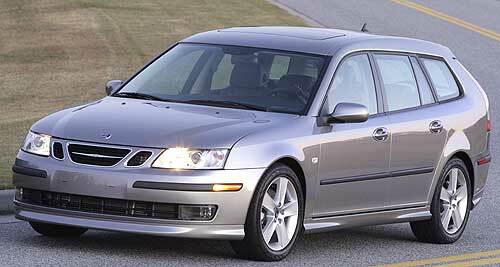 This 9-3 is the first Saab to achieve zero lift levels at both axles, (0.00 Clf and 0.00 Clr). 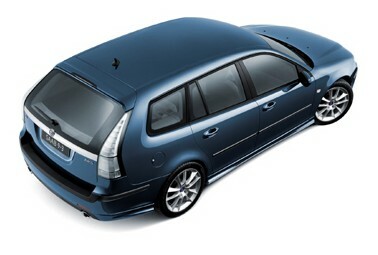 It has low drag with excellent 0.33 Cd and high speed stability, and integrated rear roof spoiler. Full UK pricing, specifications and technical data will be announced in the spring.